Is it really possible to change your personality or are our basic personality patterns fixed throughout life? While self-help books and websites often tout plans you can follow to change your habits and behaviors, there is a persistent belief that our underlying personalities are impervious to change. The Austrian psychoanalyst Sigmund Freud suggested that personality was largely set in stone by the tender age of five. Even many modern psychologists suggest that overall personality is relatively fixed and stable throughout life. But what if you want to change your personality? Can the right approach and hard work lead to real personality change, or are we stuck with undesirable traits that hold us back from achieving our goals? The desire to alter personality is not uncommon. Shy people might wish they were more outgoing and talkative. Hot-tempered individuals might wish they could keep their cool in emotionally charged situations. At many points in your life, you may find that there are certain aspects of your personality that you wish you could change. You might even set goals and work toward tackling those potentially problematic traits. For example, it is common to set New Year's Resolutions focused on changing parts of your personality such as becoming more generous, kind, patient, or outgoing. In general, many experts agree that making real and lasting changes to broad traits can be exceedingly difficult. So if you are dissatisfied with certain aspects of your personality, is there really anything you can do to change? Some experts, including psychologist Carol Dweck, believe that changing the behavior patterns, habits, and beliefs the lie under the surface of the broad traits (e.g., introversion, agreeableness) is the real key to personality change. To understand whether personality can be changed, we must first understand what exactly causes personality. The age-old nature versus nurture debate once again comes into play. Is personality shaped by our genetics (nature) or by our upbringing, experiences, and environment (nurture)? In the past, theorists and philosophers often took a one-versus-the-other approach and advocated either for the importance of nature or nurture, but today most thinkers would agree that it is a mixture of the two forces that ultimately shape our personalities. Not only that, but the constant interaction between genetics and the environment can help shape how personality is expressed. For example, you might be genetically predisposed to being friendly and laid back, but working in a high-stress environment might lead you to be more short-tempered and uptight than you might be in a different setting. Dweck relates a story of identical twin boys separated after birth and reared apart. As adults, the two men married women with the same first names, shared similar hobbies, and had similar levels of certain traits measured on personality assessments. It is such examples that provide the basis for the idea that our personalities are largely out of our control. Instead of being shaped by our environment and unique experiences, these twin studies point to the power of genetic influences. Genetics is certainly important, but other studies also demonstrate that our upbringing and even our culture interact with our genetic blueprints to shape who we are. But Dweck suggests that personality change is still possible. Broad traits might be stable through life, but Dweck believes that it is our "in-between" qualities that lie under the surface of the broad traits that are the most important in making us who we are. It is those in-between qualities, she believes, that can be changed. So what exactly are these "in-between" parts of personality? Beliefs and belief systems, Dweck proposes, play a vital role in shaping personality below the level of the broad traits. While changing certain aspects of your personality might be challenging, you can realistically tackle changing some of the underlying beliefs that help shape and control how your personality is expressed. Other theorists have suggested that factors such as goals and coping strategies play a primary role in determining personality. For example, while you might have more of a Type A personality, you can learn new coping skills and stress management techniques that help you become a more relaxed person. "People's beliefs include their mental representations of the nature and workings of the self, of their relationships, and of their world. From infancy, humans develop these beliefs and representations, and many prominent personality theorists of different persuasions acknowledge that they are a fundamental part of personality," Dweck explained in 2008 paper. Why focus on beliefs? While changing beliefs might not necessarily be easy, it offers a good starting point. Our beliefs shape so much of our lives, from how we view ourselves and others, how we function in daily life, how we deal with life's challenges, and how we forge connections with other people. If we can create real change in our beliefs, it is something that might have a resounding effect on our behaviors and possibly on certain aspects of our personality. Take, for example, beliefs about the self including whether personal attributes and characteristics are fixed or malleable. If you believe your intelligence is a fixed level, then you are not likely to take steps to deepen your thinking. If, however, you view such characteristics as changeable, you will likely make a greater effort to challenge yourself and broaden your mind. Obviously, beliefs about the self do play a critical role in how people function, but researchers have found that people can change their beliefs in order to take a more malleable approach to self-attributes. In one experiment, students had a greater appreciation of academics, higher grade-point-averages, and a greater overall enjoyment of school after discovering that the brain continues to form new connections in response to new knowledge. Dweck's own research has demonstrated that how kids are praised can have an impact on their self-beliefs. Those who are praised for their intelligence tend to hold fixed-theory beliefs about their own personal attributes. These kids view their intelligence as an unchangeable trait; you either have it or you don't. Children who are praised for their efforts, on the other hand, typically view their intelligence as malleable. These kids, Dweck has found, tend to persist in the face of difficulty and are more eager to learn. So What Can You Really Do to Change Your Personality? 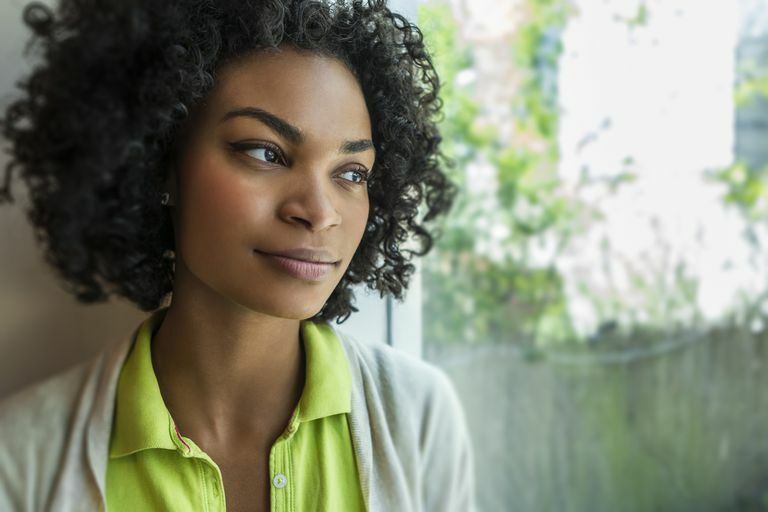 Changing from an introvert to an extrovert might be extremely difficult (or even impossible), but there are things that the experts believe you can do to make real and lasting changes to aspects of your personality. Focus on changing your habits. Psychologists have found that people who exhibit positive personality traits (such as kindness and honesty) have developed habitual responses that have stuck. Habit can be learned, so changing your habitual responses over time is one way to create personality change. Of course, forming a new habit or breaking an old one is never easy and it takes time and serious effort. With enough practice, these new patterns of behavior with eventually become second nature. Change your self-beliefs. If you believe you cannot change, then you will not change. If you are trying to become more outgoing, but you believe that your introversion is a fixed, permanent, and unchangeable trait, then you will simply never try to become more sociable. But if you believe that your personal attributes are changeable, you are more likely to make an effort to become more gregarious. Focus on the process. Dweck's research has consistently shown that praising efforts rather than ability is essential. Instead of thinking "I'm so smart" or "I'm so talented," replace such phrases with "I worked really hard" or "I found a good way of solving that problem." By shifting to more of a growth mindset rather than a fixed mindset, you may find that it is easier to experience real change and growth. Fake it till you make it. Positive psychologist Christopher Peterson realized early on that his introverted personality might have a detrimental impact on his career as an academic. To overcome this, he decided to start acting extroverted in situations that called for it, like when delivering a lecture to a class full of students or giving a presentation at a conference. Eventually, these behaviors simply become second-nature. While he suggested that he was still an introvert, he learned how to become extroverted when he needed to be. Personality change might not be easy, and changing some broad traits might never really be fully possible. But researchers do believe that there are things you can do to change certain parts of your personality, the aspects that exist beneath the level of those broad traits, that can result in real changes to the way you act, think, and function in your day-to-day life. Aronson, J., Fried, C. B., & Good, C. (2001). Reducing the effects of stereotype threat on African American college students by shaping theories of intelligence. Journal of Experimental Social Psychology, 1-13. Dweck, C. S. (2008). Can personality be changed? Current Directions in Psychological Science, 17(6), 391-394. Mueller, M., & Dweck, C. S. (1998). Intelligence praise can undermine motivation and performance. Journal of Personality and Social Psychology, 75, 33-52.